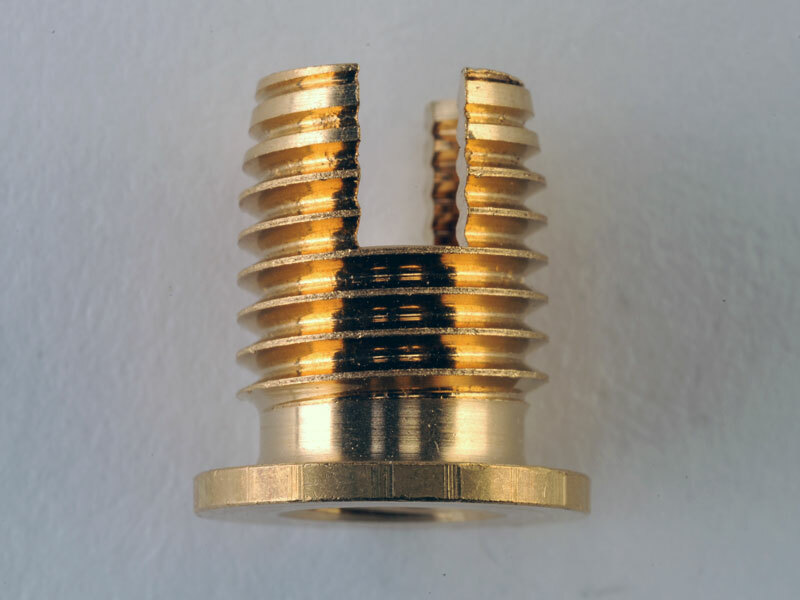 The SCR range is a Self Tapping range of inserts with internal and external threads and a slot to aid installation. 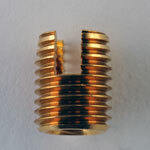 Its designed to be installed into drilled or moulded holes and can be used where Maximum strength is required. HIGH PULL OUT RESISTANCE. 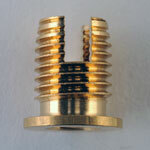 HEADED VERSION FOR ELECTRICAL CONTACT AND HIGHER PERFORMANCE. CAN BE USED IN MOST TYPES OF MATERIALS. AVAILABLE IN HARDENED STEEL AND STAINLESS. 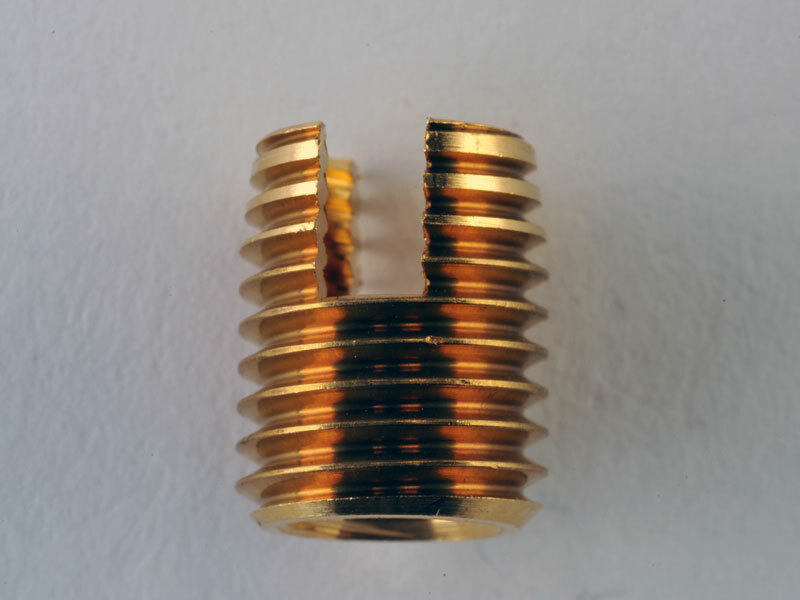 EXAMPLE DESIGNATION FSUK SCR B M3 FSUK SCRH B M3 (HEADED) AVAILABLE IN BRASS, HARDENED STEEL AND STAINLESS STEEL PLEASE NOTE HOLE SIZE 1 IS A GUIDE FOR THERMOPLASTICS AND HOLESIZE 2 IS A GUIDE FOR THERMOSETTING PLASTICS. CONTACT FSUK FOR FURTHER INFO IF REQUIRED. PLEASE NOTE THAT THE WALL THICKNESS WOULD BE TYPICALLY MINIMUM 0.3 X D ON THE SCR. THE SCRH RANGE STARTS FROM THREAD SIZE M4.